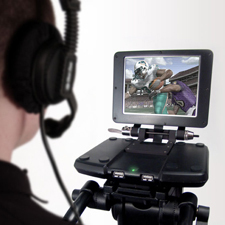 The Gamecaster Cybercam™ is the world’s first video game camera that connects to consoles and PCs during live video game competitions, enabling pro-sports cameramen to shoot matches from “within” the game, and pro-sports directors to call an in-game multicamera live switch, delivering a real spectator experience for live, Internet, and TV viewers. 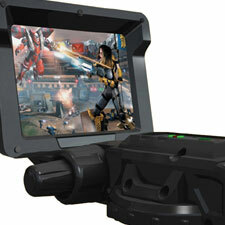 Grand Idea Studio provided the entire electrical design for the Gamecaster Cybercam Series 1 and Series 2. 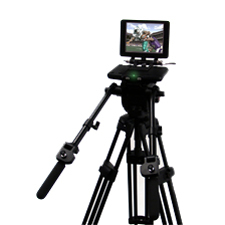 Features include sports camera emulation technology, analog thumb-sticks for smooth in-game camera trucking, craning, and zooming, and a motion tracking system for fluid in-game camera panning and tilting. The technology is protected by U.S. Patent #7,403,220, Apparatus, methods, and systems for viewing and manipulating a virtual environment.